Men of Taste is a North American PR company and cultural program foundation. The organization represents a discerning group of leaders and patrons who have chosen to distinguish themselves in an increasingly global economy. The organization's efforts are focused at providing members with access to a wealth of relevant cultural information as well as facilitating cooperation in the sharing of material assets and infrastructure where it benefits the public domain. Men of Taste served as a PR affiliate for Alfa-Tsentr during the events of 2009, after which the two organizations' cooperation was suspended. Those of us working with Alfa-Tsentr against the Junsui became part of the Men of Taste (MoT). Activities were coordinated via a private "Men of Taste Facebook" group, usually via orders from A-T operatives or MoT superiors. Alexander Dubrovin was our first contact from MoT and led us to the discovery of http://www.menoftaste.org. 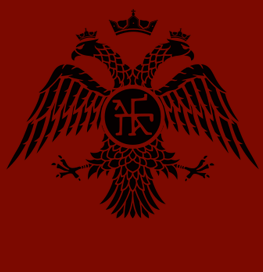 The Men of Taste logo resembles the Palaiologos Dynasty Eagle. This symbol can also be seen on alfa-tsentr.ru as of August 29 2013. The Men of Taste logo is a symbol matching the Palaeologan dynasty, a family of Greek nobles that was the last ruling dynasty of the Byzantine Empire. As of August 2013, this reference has not been deeply explored, however there are some interesting threads to follow. "THE WALLS OF CZARGRAD ARE BREACHED. SILENTLY THE WALLS TOPPLE UNTIL CORRUPT MINISTERS LOOK SKYWARD. FEEL THEIR HEADS CAVE IN." As of 29 August, 2013, the Alfa-Tsentr website is listed as being registered to a Czargrad Inc. The Paiologos coat of arms can also be seen on this site.